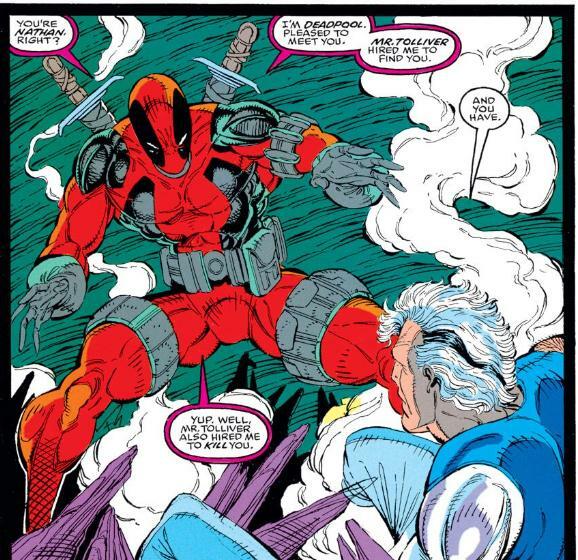 X-Men Origins: Wolverine was rather overstuffed with super-powered side characters, and the biggest such addition in plot terms was when they gave an origin for Deadpool. They made him completely different from the comic book version and took out all the fun, and as a result, everyone hated it. That was probably the least popular part of an already unpopular film (which I otherwise thought was not bad). But this did not diminish demand or anticipation for a deadpool movie. Deadpool is possibly the most popular Marvel character now among actual comic readers — a position that was once occupied by Wolverine, but that was long ago. And those fans want nothing less than the full-blown deadpool style of fourth-wall-breaking comical gore and mayhem. It’s finally coming: a Deadpool movie with equal parts blood and goofy wisecracks, in which the hero talks directly to the camera like Steve Irwin. And they’re keeping Ryan Reynolds in the role, even though they’re wisely throwing out everything else from the Wolverine movie. Apparently, they’re sticking very closely to the comic book origin this time. And in this role, he might work: everything that made him wrong for Green Lantern might be totally right for this role. The fan response to early footage has been very positive. Fans of this kind of dark nasty nineties-ish material are a large proportion of comic book readers, after all, and those readers are enthusiastic word-of-mouth spreaders, so it would make sense to court them. But unfortunately, comic book readers are a very small proportion of movie readers. Um, viewers. And worse, this kind of material is widely believed to be why they’re such a small proportion. Superhero comic books used to be a very popular mass medium, but now they’re a tiny niche market appealing to a specialized audience, and it may well be that it was the embracing of this kind of material that drove the mainstream audience away. So, does this mean the Deadpool movie will flop? I wouldn’t bet on it. It might underperform box office estimates, since it appeals to the same kinds of fans who made a phenomenon, but not a success, out of Snakes On A Plane. But if they really capture Deadpool’s insane sense of humor, it could still bring in a sizeable audience and get a lot of positive word of mouth. But if it is a hit, I bet it will be the only one — all the imitators trying for the same audience will be the ones that flop.